Here are the best Malibu hotels on the beach which which are perfect for families, couples and even celebrities. Families that are looking for apartment style amenities like a kitchen and a beachfront location should stay at the Malibu Beach Paradise Apartments. Couples searching for a romantic property that caters to several celebrities will find that the Malibu Beach Inn is perfect. More value oriented travelers can take a look at the M Malibu and when you want a little more seclusion the Malibu Country Inn has a great beachfront spot at Westward Beach. When you are looking for an upper-mid-range Malibu hotel on the beach which is perfect for families that want more space and apartment style amenities then you should try the Malibu Beach Paradise Apartments. 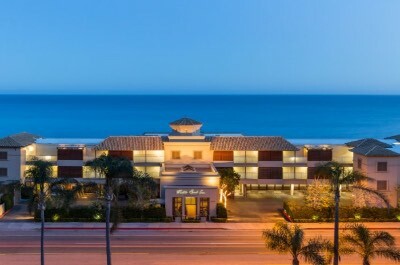 Located 1-block from the Malibu Pier, the Malibu Beach Paradise Apartments is situated directly on the beachfront overlooking the Pacific Ocean. 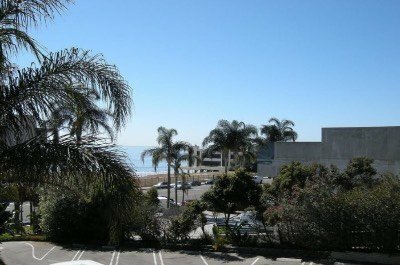 The Malibu Beach Paradise Apartments has a modern one floor architectural style with 5 one-bedroom apartments that boast a contemporary beach decor. Apartments are sized at 646 square feet with a separate living room, full kitchen and offer views of the Pacific Ocean from a shared terrace. The Malibu Beach Paradise Apartments have a perfect beachfront location where you will find plenty of space to relax and you can walk to Malibu Pier to arrange for a variety of watersport activities. You are within a 10-minute walking distance to Malibu Lagoon State Beach where you can visit Surfrider Beach, the Adamson House and the Malibu Lagoon Museum. Other attractions within a short distance include shopping at the Malibu Country Mart and you are less than 6-miles from the Getty Villa as well as Topanga State Park. The Malibu Beach Paradise Apartments does not offer a freshwater swimming pool, fitness center or restaurant onsite. Dining begins with a leisurely home cooked meal and there are numerous offsite dining options within walking distance that include the Malibu Farm for American dishes, the Marmalade Cafe as well as Taverna Tony prepares Mediterranean specialties. Nightlife at this Malibu hotel on the beach includes quiet walks on the beach, watching the sunset or a trip to the Malibu Pier. When you are seeking a small mid-range Malibu hotel on the beach that is perfect for all types of travelers including families then you should stay at the Malibu Country Inn. Located just minutes from Point Dume State Beach and Preserve, the Malibu Country Inn is situated 1-block from Westward Beach and less than 1-mile from Zuma Beach. The Malibu Country Inn has a modern two story architectural design with 16 rooms and suites which feature a contemporary interior. Most rooms and suites have a private patio or balcony that offers views of the garden, surrounding mountains or beachfront. Rooms have 250 square feet with a choice of bedding and many offer a fireplace. Deluxe rooms are sized similar with a choice of bedding, a fireplace and offer views of the garden or pool. Suites are 500 square feet with an open floorplan which includes a living area and sofa sleeper as well as a fireplace. The one-bedroom Cottage has 400 square feet with a separate living room that contains a futon, a fireplace and an enlarged outdoor living space. The Malibu Country Inn is just steps away from Westward Beach where you will lots of space to relax on the sand and various watersport activities from surfing to windsurfing to scuba diving near Point Dume. Swimming is not advised at Westward Beach but you are short walk from Zuma Beach where you can find calmer water for swimming when the rip currents permit. The Malibu Country Inn offers easy access to numerous attractions within the area including Paradis Cove Beach, El Matador State Beach and Solstice Canyon. The Malibu Country Inn has a freshwater swimming pool within a nicely manicured garden area which includes a waterfall but does not offer a fitness center onsite. The Malibu Country Inn does not offer a restaurant onsite and dining options within 1-mile of the property include Sunset for American dishes, Gravina Malibu prepares Italian as well as Lily’s Cafe and Pastries serves Mexican cuisine. Nightlife at this Malibu hotel on the beach is quiet with walks on the 3-mile stretch of sand to watching a sunset from Point Dume to relaxing in the courtyard. The M Malibu is an ideal mid-range Malibu hotel on the beach for travelers looking for easy access to the beach and several area attractions. Located 0.6-miles from the Malibu Pier and Malibu Lagoon State Beach, the M Malibu is situated less than 500-feet from Carbon Beach and is within 6-miles to the Getty Villa. The M Malibu boasts a modern three floor architectural style with 18 rooms that were renovated in 2016 and feature a contemporary decor. All rooms have a private balcony which sports views of the pool area, surrounding neighborhood or the Pacific Ocean. Guest rooms are 320 square feet with a choice of bedding. The M Malibu hotel on the beach allows for great access to Carbon Beach where you will find space to lounge and you are a short walk to the Malibu Pier where you will find plenty of watersport adventures as well as watersport equipment rentals. The M Malibu is a short walk to Malibu Lagoon State Beach where you will find Surfrider Beach as well as the Adamson House and Malibu Lagoon Museum. Other attractions within a 5-mile drive include Malibu Creek State Park, the Frederick Weisman Museum of Art and the Malibu Hindu Temple. The M Malibu has a freshwater swimming pool with a nice sundeck but does not offer a fitness center or spa. There is not a restaurant at the M Malibu and offsite dining options within walking distance are numerous including D’Amore’s Pizza Express for Italian, the Fish Grill as well as Casa Escobar prepares Mexican cuisine. Nightlife can be quiet with a walk on the beach at sunset or catch a live performance at the Greek Theatre located at the Getty Villa. The Malibu Beach Inn is a perfect luxury Malibu hotel on the beach for travelers that are seeking a unique experience in accommodations and service as well as the possibility of seeing a celebrity. Located 2-blocks down coast from the Malibu Pier and Malibu Lagoon State Beach, the Malibu Beach Inn is situated directly on Carbon Beach overlooking the Pacific Ocean and has under gone two complete renovations since 2007. The Malibu Beach Inn has a modern three story architectural design with 47 rooms and suites which feature a chic interior. All guest rooms and suites are furnished with a private balcony that overlooks the Malibu Pier, Surfrider Beach, Carbon Beach or the Pacific Ocean. Guest rooms range in size from 350 to 400 square feet with a choice of bedding, an integrated sitting area that features a fireplace. Junior suites are sized at 525 square feet with a separate living room and a double balcony. One-bedroom suites have 600 square feet with a separate living room that contains a sofa sleeper, a fireplace and floor to ceiling windows. The Malibu Beach Inn has a perfect spot on Carbon where you will find plenty of room to soak up the sun with drink service provided by the Carbon Beach Club. There are lots of watersport activities that can be found as well as arranged at the Malibu Pier and Surfrider Beach is a short 5-minute walk from the property. The Malibu Beach Inn is within walking distance to many outstanding attractions such as the Adamson House and Malibu Lagoon Museum, high-end shopping at the Malibu Country Mart as well as Legacy Park and you are within a 10-mile drive to Malibu Wine Safaris. 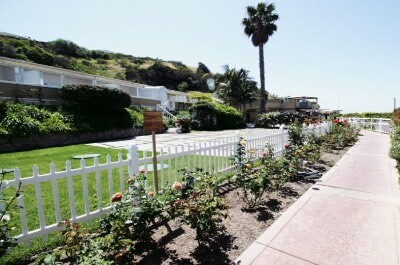 The Malibu Beach Inn has a full service spa onsite but does not offer a fitness center or a freshwater swimming pool. 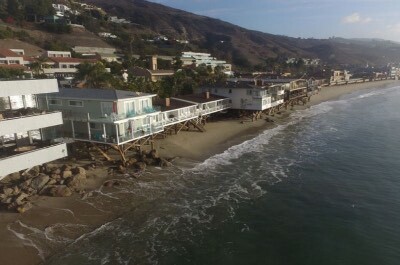 Dining at this Malibu hotel on the beach includes all three meals at the acclaimed Carbon Beach Club and you can find several dining options within a short walk that include the Malibu Farm Pier Cafe, V’s Restaurant plus Bar serves Mediterranean as well as Nobu Malibu prepares Asian specialties. Nightlife is subdued and could include a quiet drink watching the sunset or a trip to the Malibu Pier.